Mormon Wookiee: #30: Chewbacca sings "Silent Night". My friend Chris McConnehey recently sent me an awesome audio remix of Chewbacca singing "Silent Night". Merry Christmas, Wookiee style! Grwaaaaaar! If this album were real, you can guarantee I would wait in line for it. 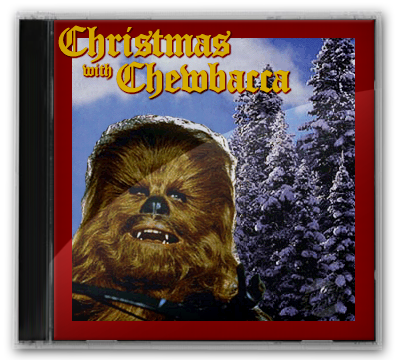 Wasn't this the duet he did with Leia in the Star Wars Christmas special? I wish we'd have had him in the ward choir.